Is your work colleague retiring after a long and successful career? Or is someone close to you throwing in the towel and are about to enjoy their relaxing retirement? 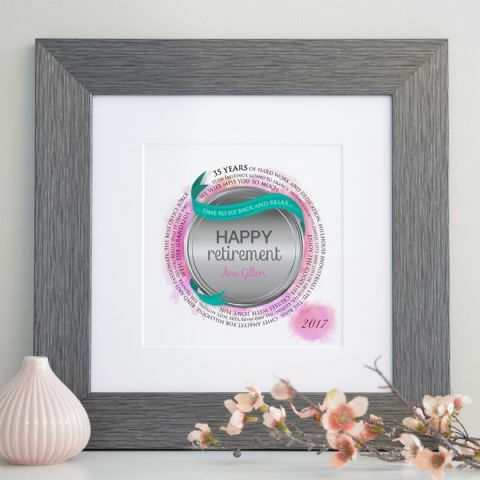 Let them always be reminded of their hard working years with a retirement word art, full of their achievements in their working life. Not only that, but it could look like a striking piece of art in their home! 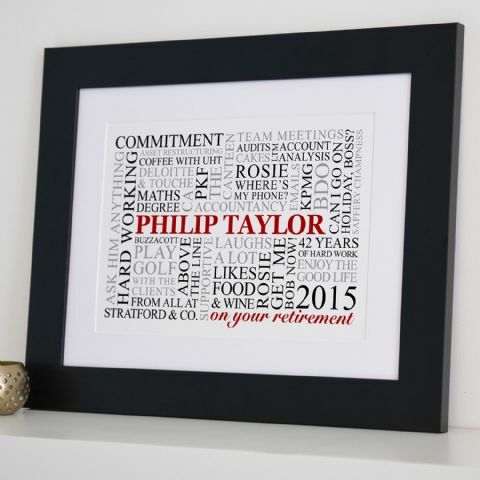 Some of our best retirement designs include Personalised Retirement Word Art, which can be completely personalised and full of all the things that have been special to someone during their career, and maybe what they have planned for the future! 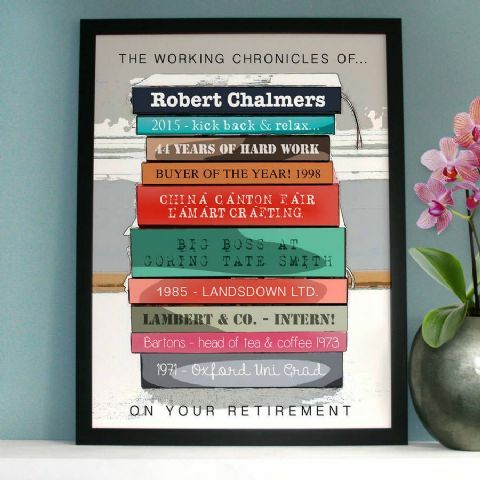 Also, the Personalised Retirement Book Art, a cool design with a pile of books, enabling you to add your very own little line to each spine, making it a look like a working journey. There are also personalised cushions available with words arts to add an extra accessory to the sofa at home. Any questions on organizing the best retirement gift? We are only an email away….